The Department of Defense expects to operate in significantly more complex environments and that means its technologies must be able to survive against high end, threats from countries such as China and Russia. Unmanned aerial systems have proven to be an invaluable asset for soldiers on the battlefield because they provide on-demand eyes on targets and can provide critical data. In these future operating environments, drones will need to be hardened against jamming and cooperate collaboratively with each other, according to Dave Sharpin, vice president of tactical UAS business at AeroVironment, who spoke with C4ISRENT at the AUSA Global Force Symposium in Huntsville, Alabama March 26. The company builds the widely used RQ-11 Raven and Puma drone. Here are three ways AeroVironment is preparing for those new realities. Near peer adversaries have advanced jamming capabilities that U.S. forces did not have to compete with during the counterinsurgency fights. 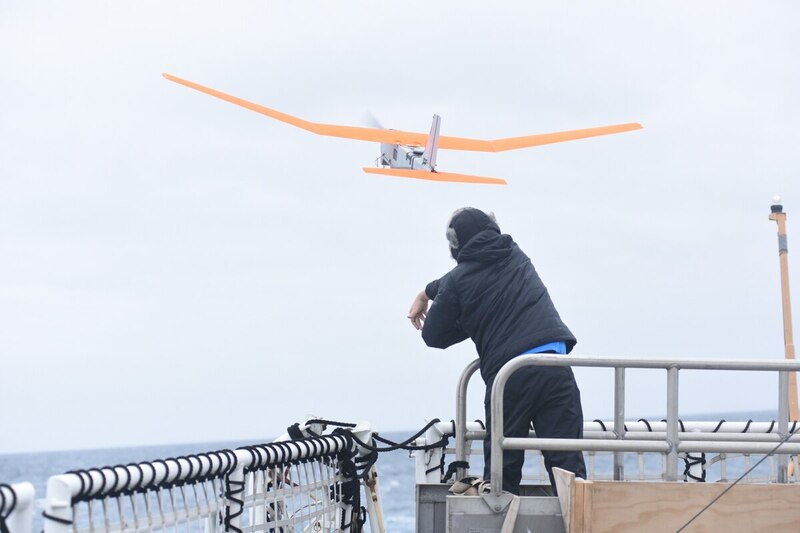 As a result, Sharpin explained that AeroVironment is hardening datalinks from jamming, widening bandwidth and developing more agile waveforms. He characterized these measures as counter-counter UAS or aiming to defeat the counter measures designed to defeat enemy drones. Sharpin also noted that customers will want drones that can perform a variety of tasks, including the ability take off and land vertically, the ability to operate in urban environments, and the ability to go from a cruising platform into a hover platform. Many of these characteristics come to a head in dense, urban environments in which drones will need to hover over buildings, or even blocks, as opposed to circling large land masses. Another emerging trend is the desire for multiple devices to collaborate and work together to prosecute targets. Sharpin said he’s interested in the connection of aerial systems to ground systems to share data simultaneously. Along the same lines, Sharpin mentioned the notion of multiple platforms working together, outside of drone swarms. Rather, he was referring to a variety of devices that could be controlled from a central point and work together. This could provide greater situational awareness if more cameras are fixed on the same target or if multiple devices have a variety of sensors that can work collaboratively. “You can start doing things with one platform has one sensor, one has another, one has another and they’re working in a geospatial way to come up with a common picture for the operator,” he said. He adding that radio frequency sensors can also provide geolocation capabilities by detecting frequencies below.